. 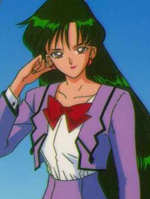 : Lunar Palace v.5 - USA: Sailor Pluto :. Sailor Pluto guards the Gate of Time and the Cosmic Time Warp (a old passage that isn't used anymore, it is usually used by Neo Queen Serenity), which allows people to travel through time. Pluto opens the Gate of Time so the Scouts can travel through the Cosmic Time Warp to the future.